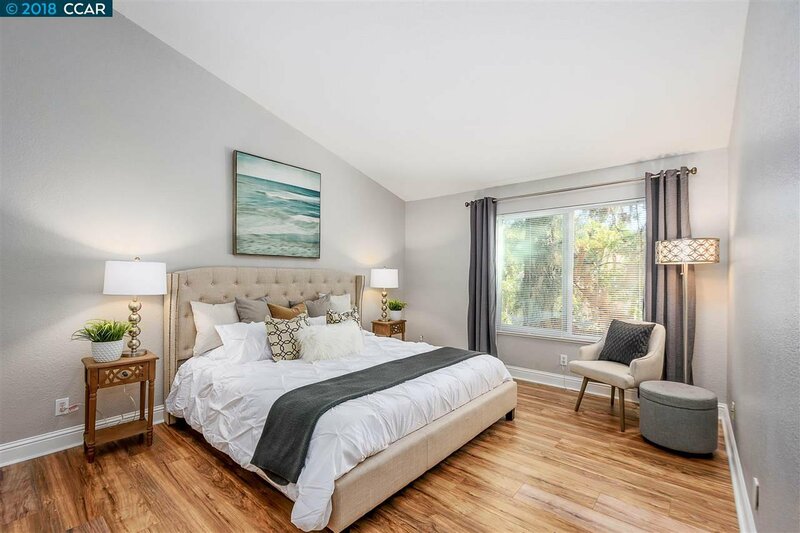 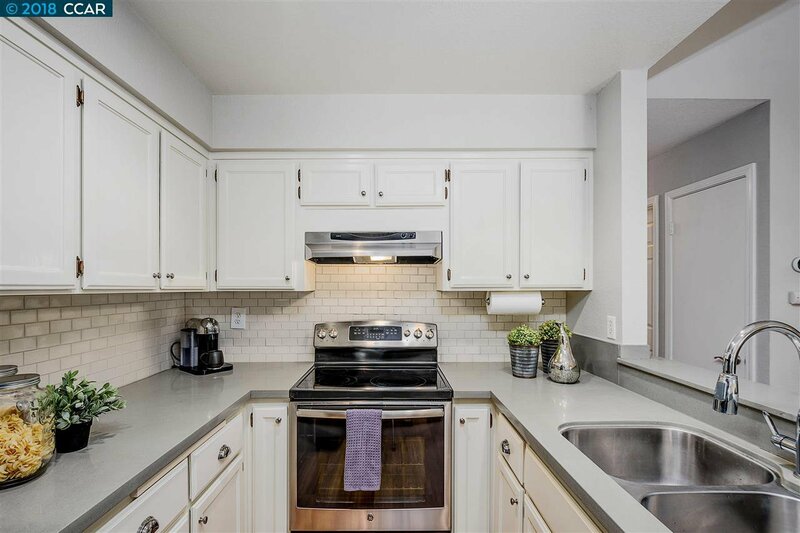 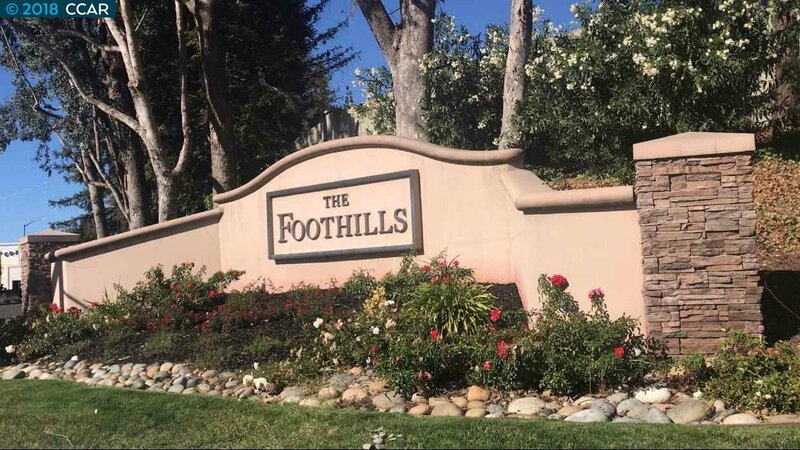 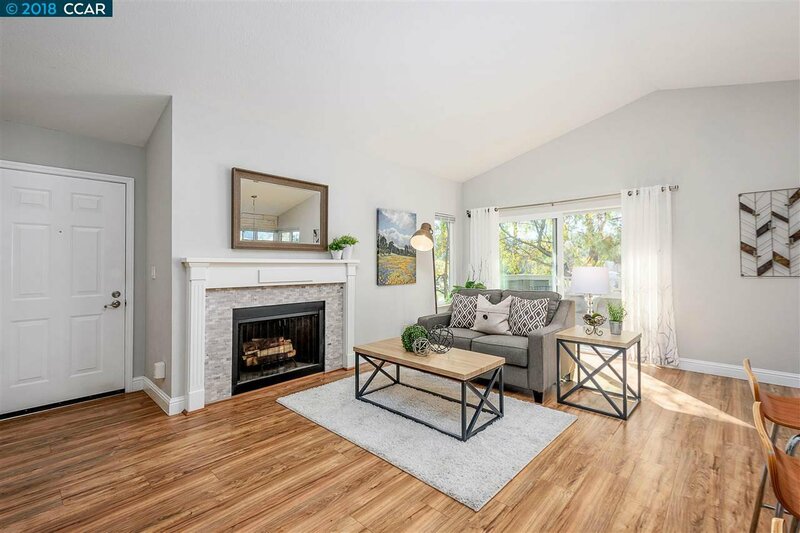 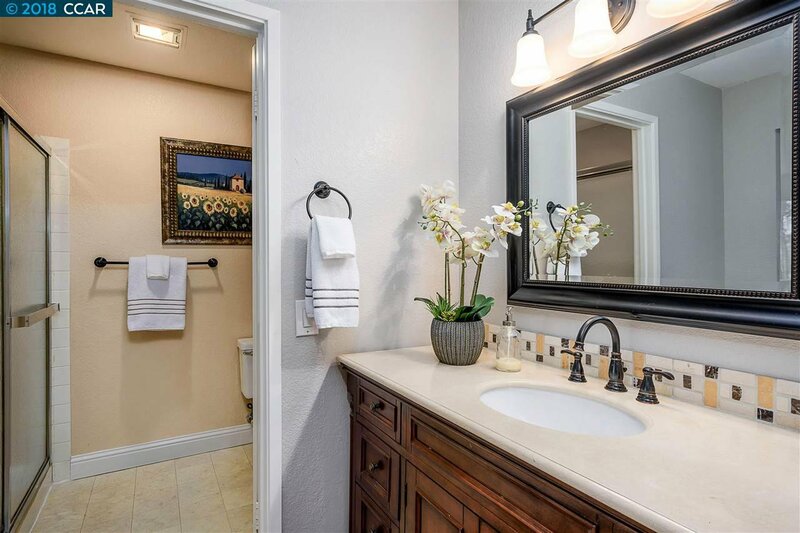 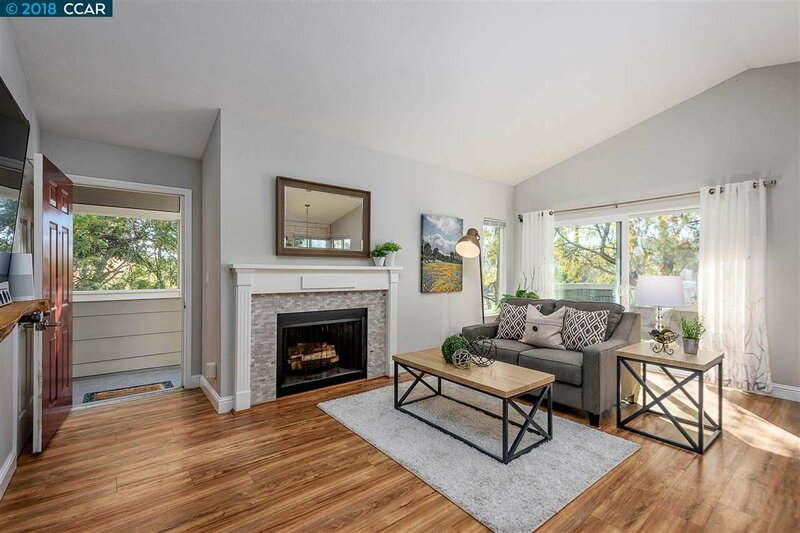 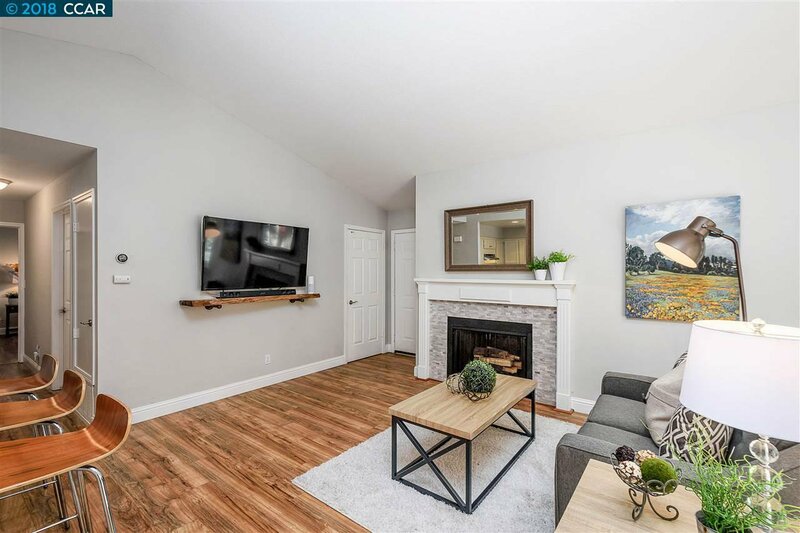 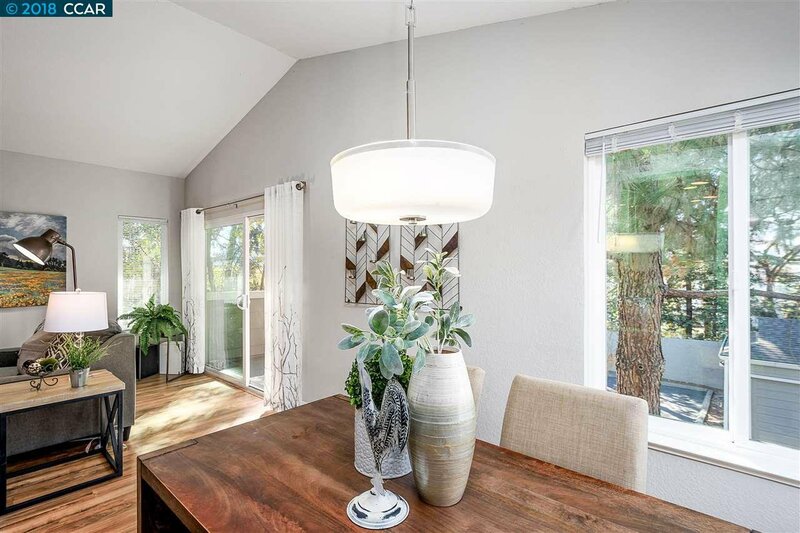 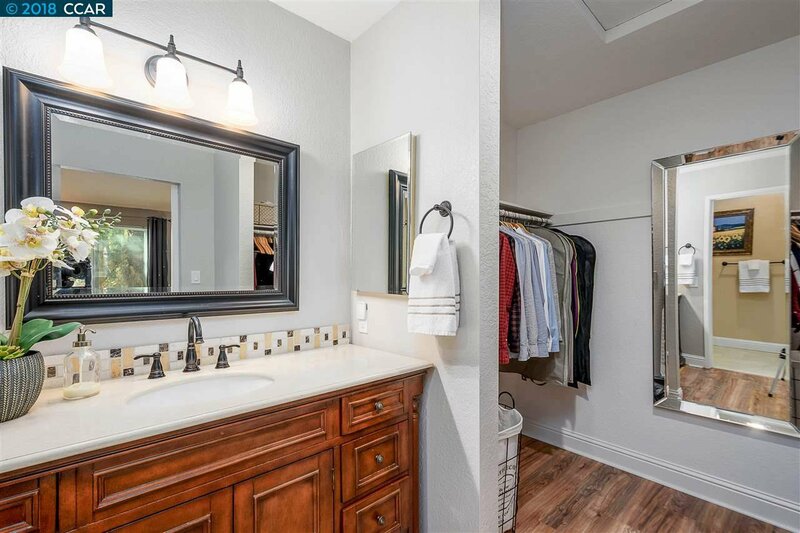 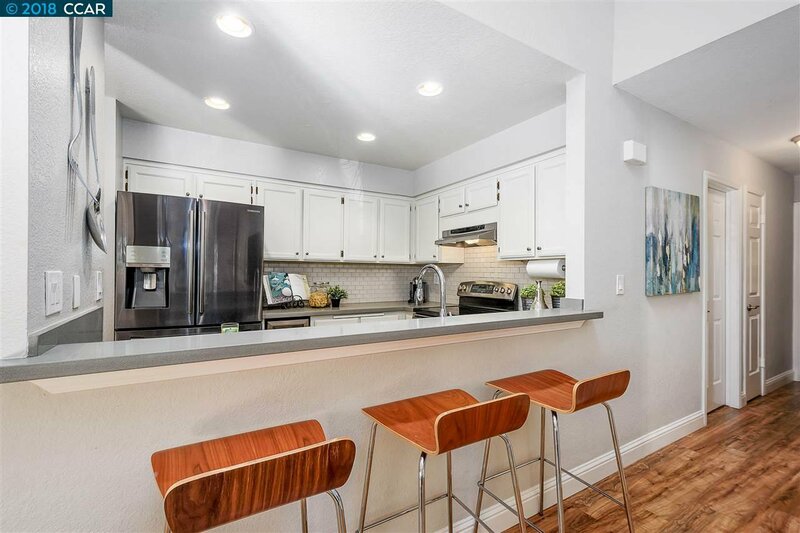 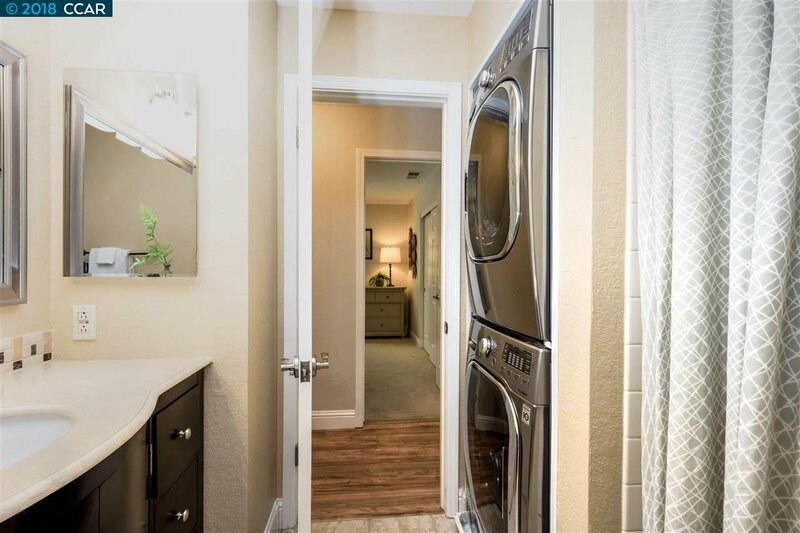 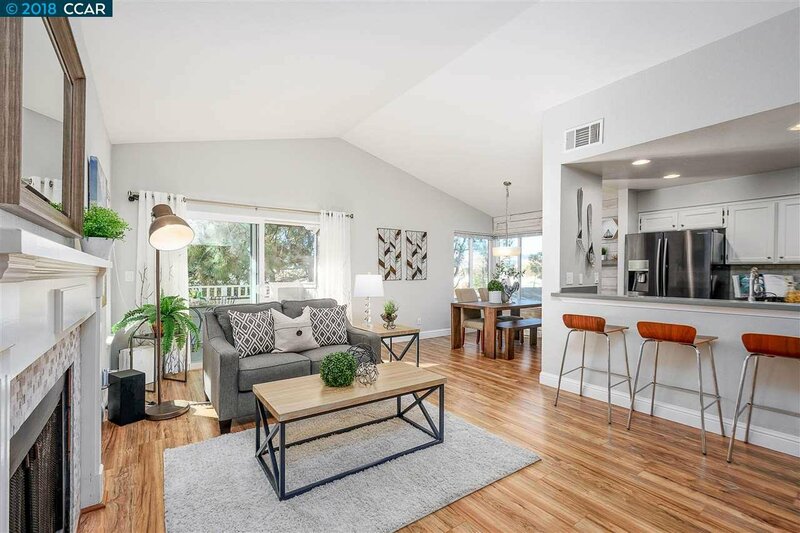 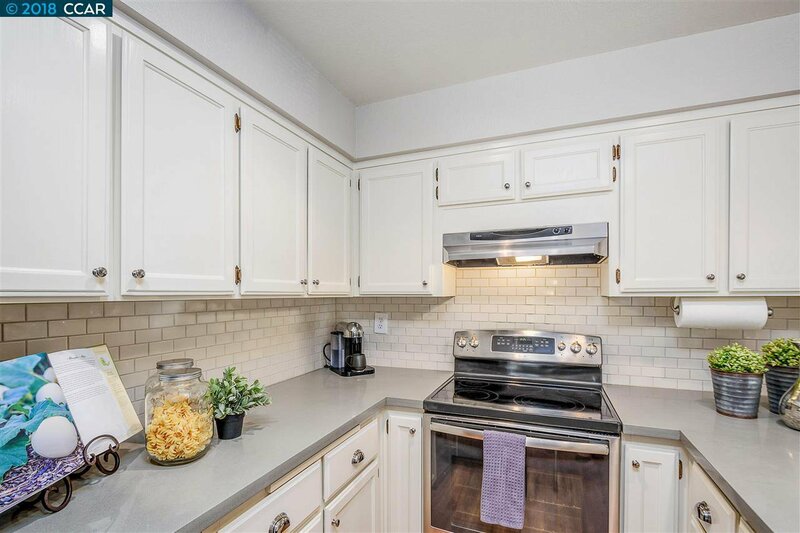 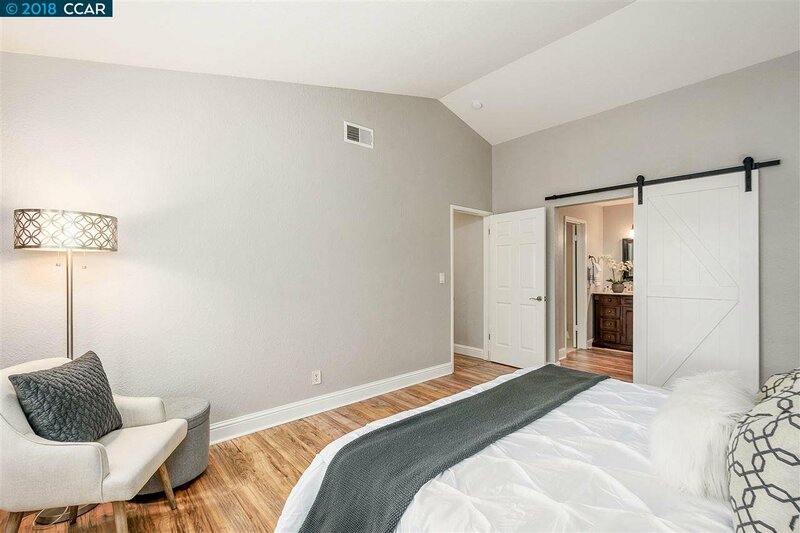 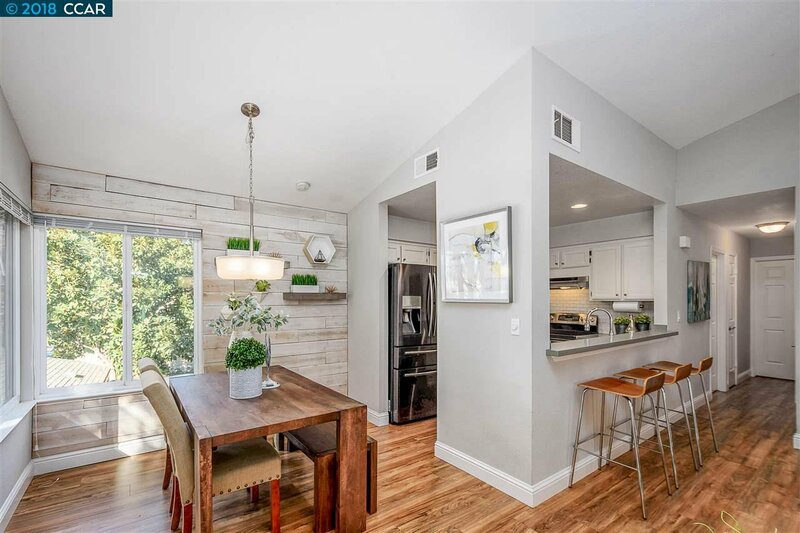 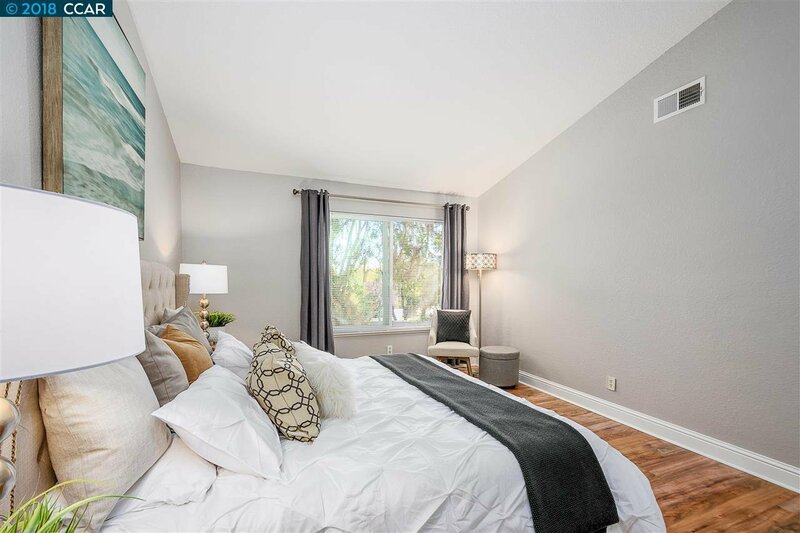 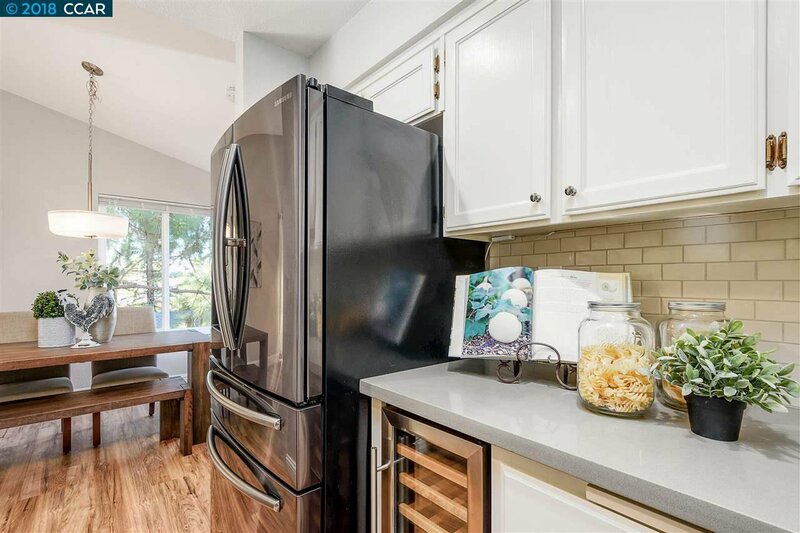 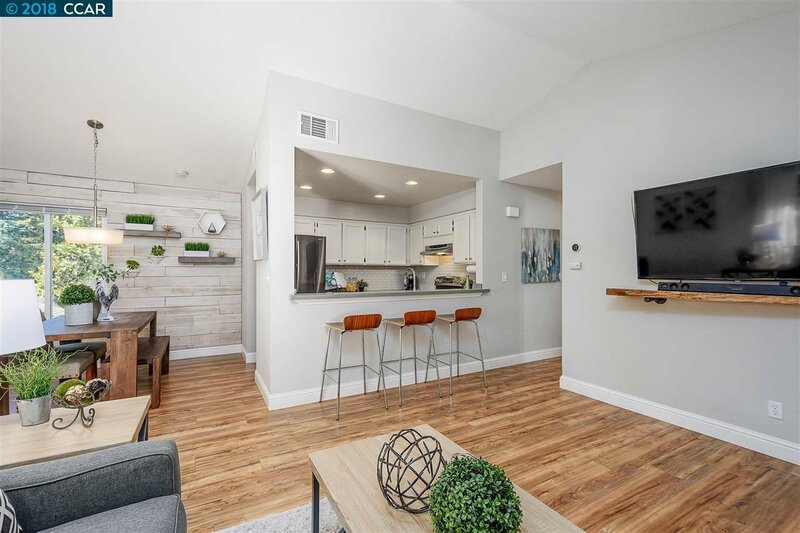 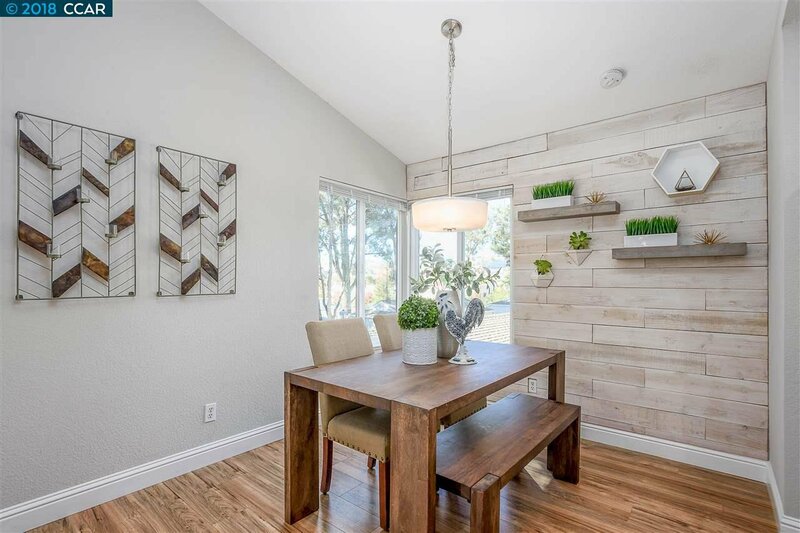 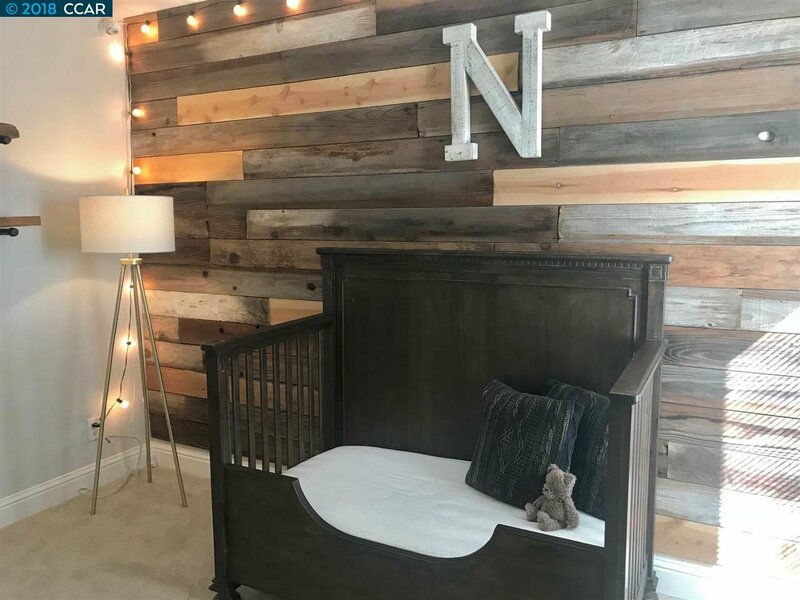 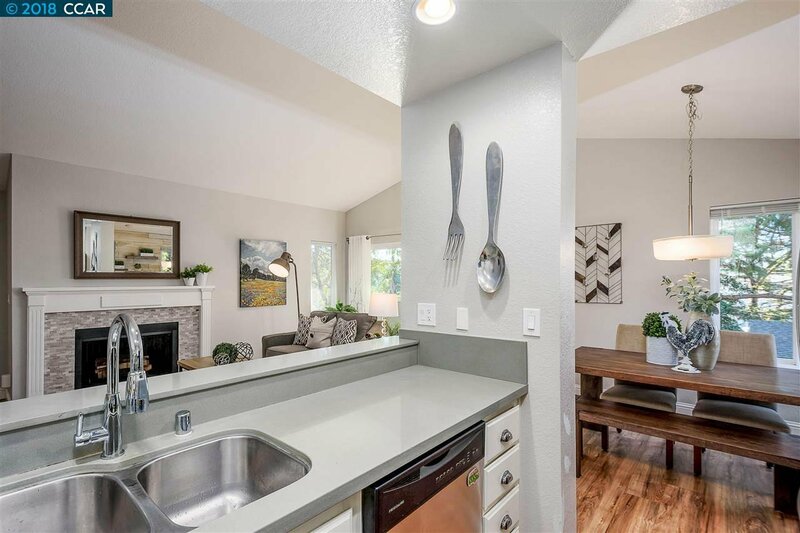 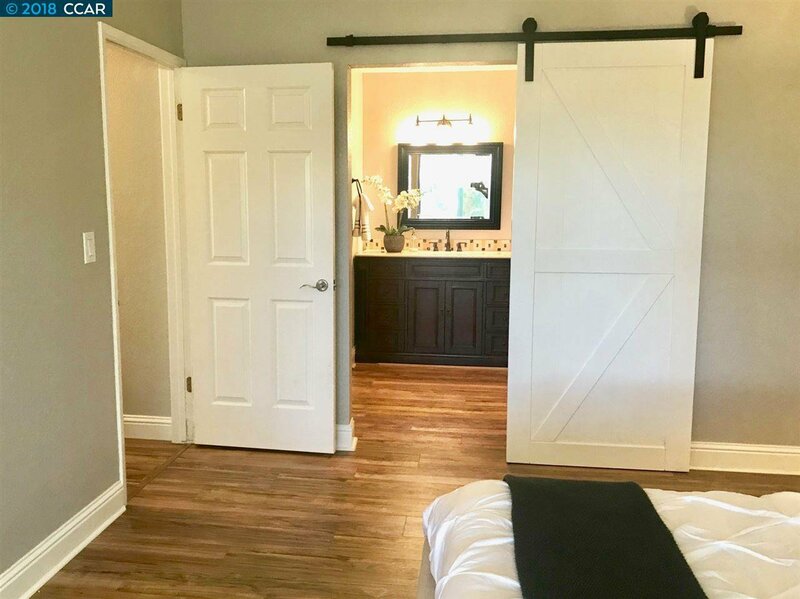 Beautiful 2 bedroom, 2 bath home at The Foothills w/ bright & open floor plan, high ceilings, updated kitchen with quartz counters, subway tile back splash & stainless appliances, lovely floors, modernized baths, dual pane windows, barn door, inside laundry & large master with walk-in closet. 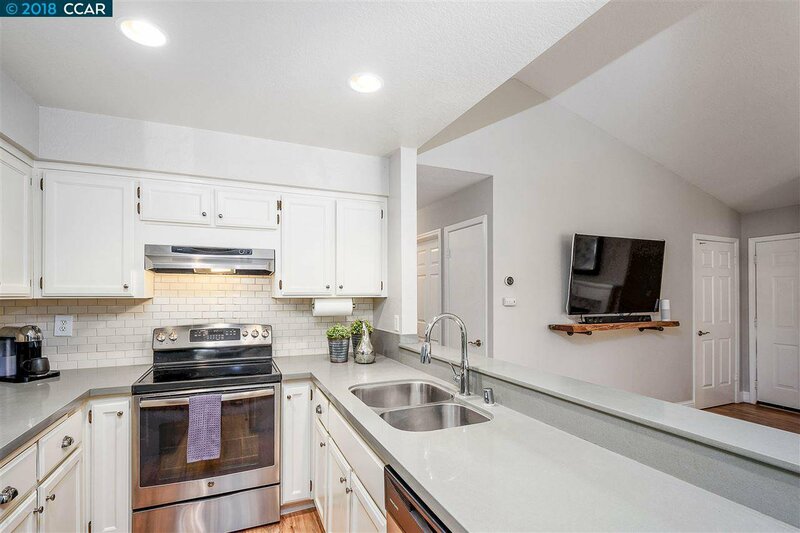 From the gorgeous kitchen, you can entertain your guests in the living room with an updated fireplace and easy access to the balcony. 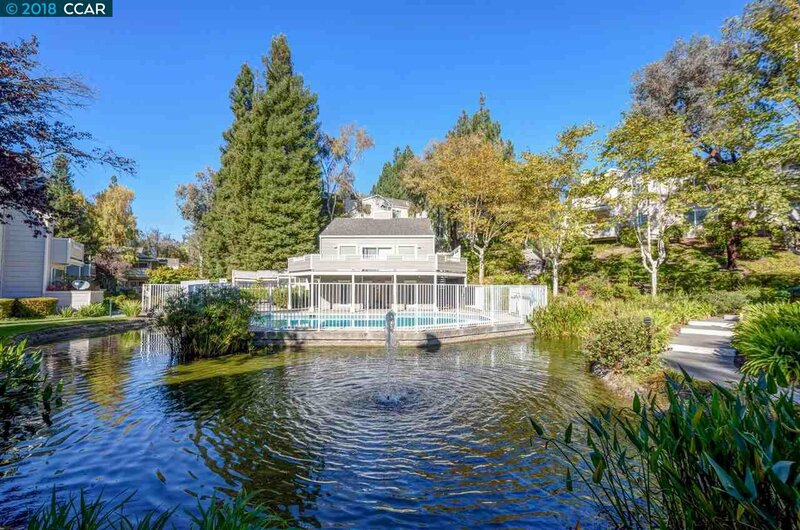 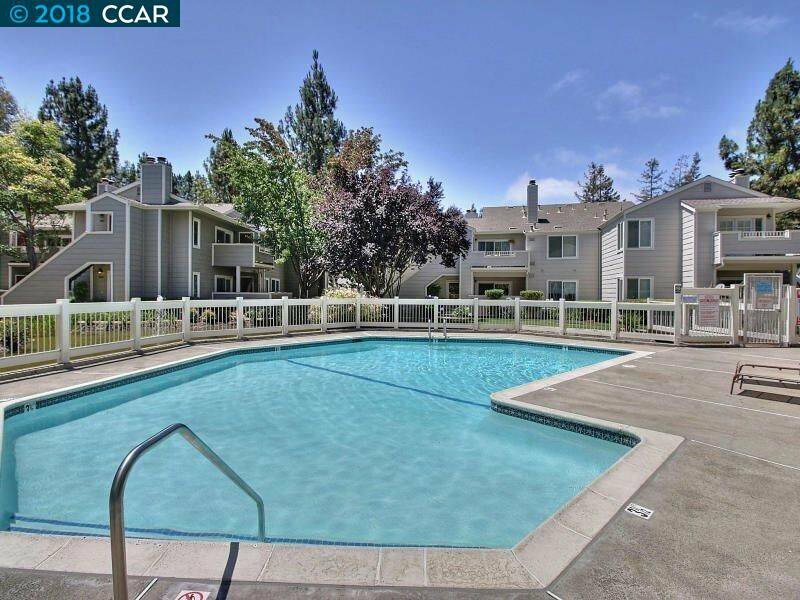 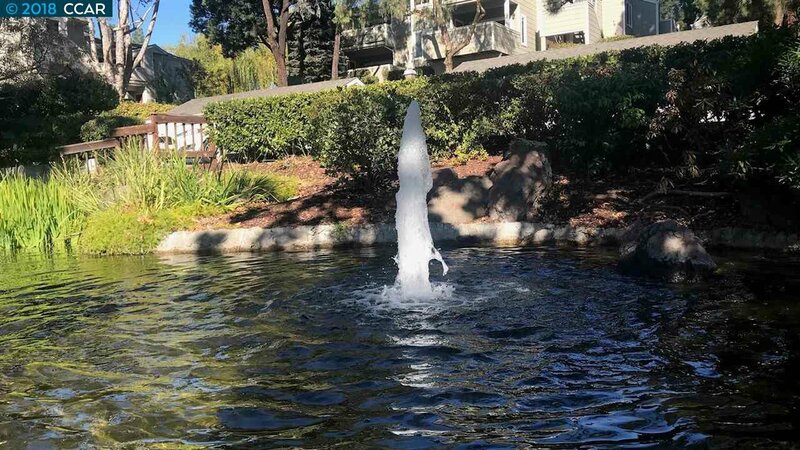 The HOA includes the community pool, water, trash removal and much more. 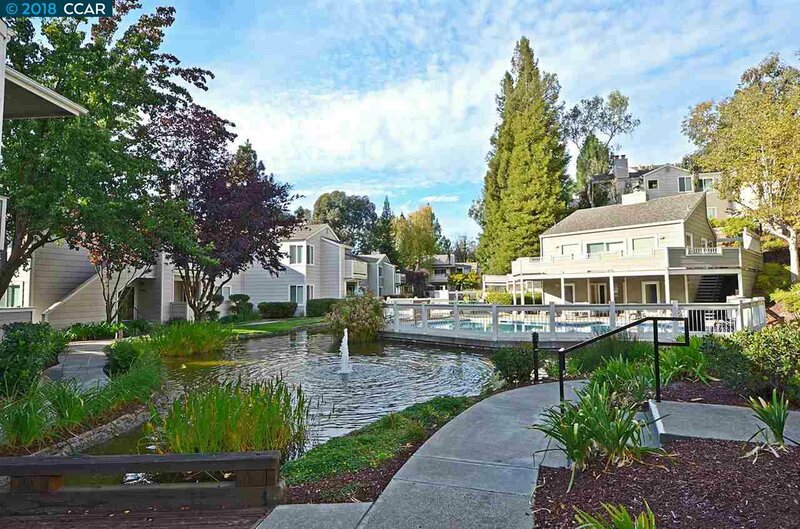 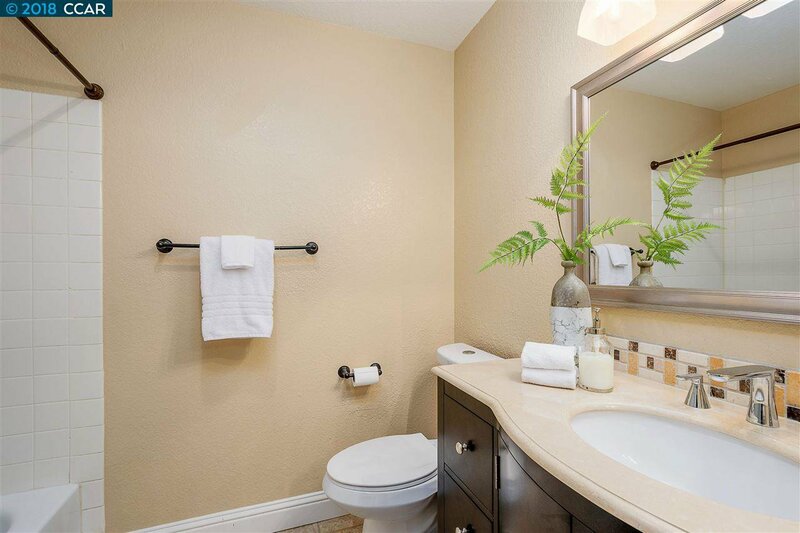 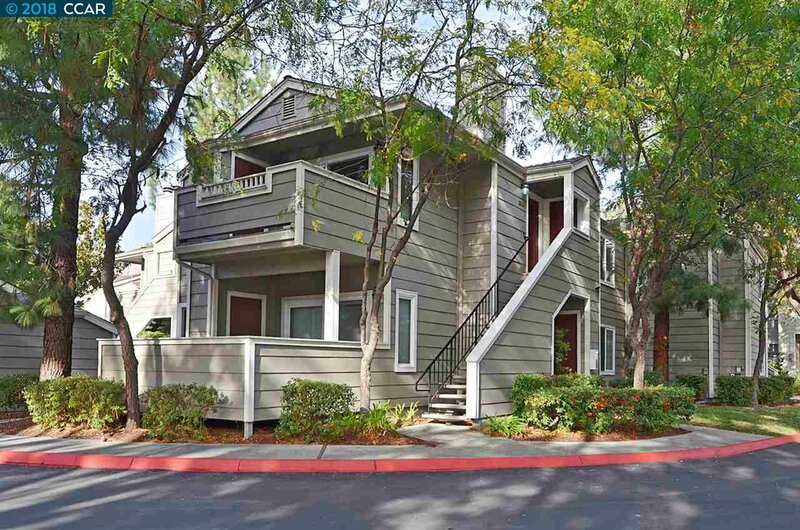 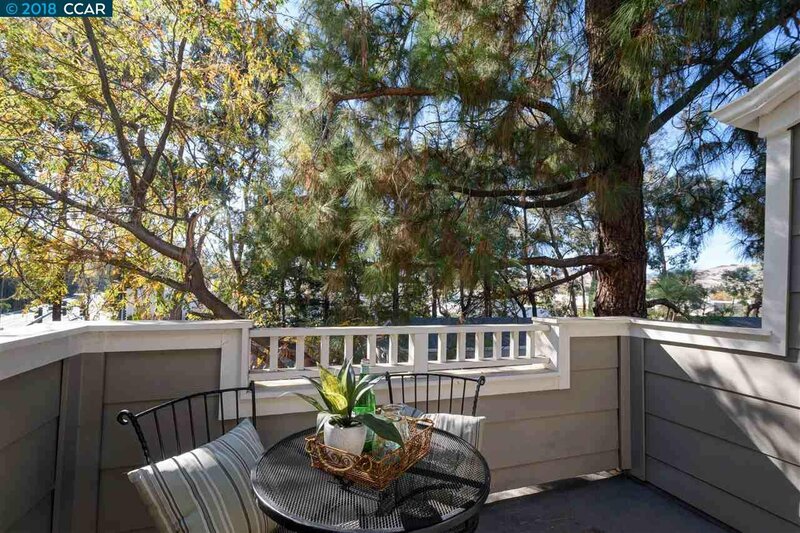 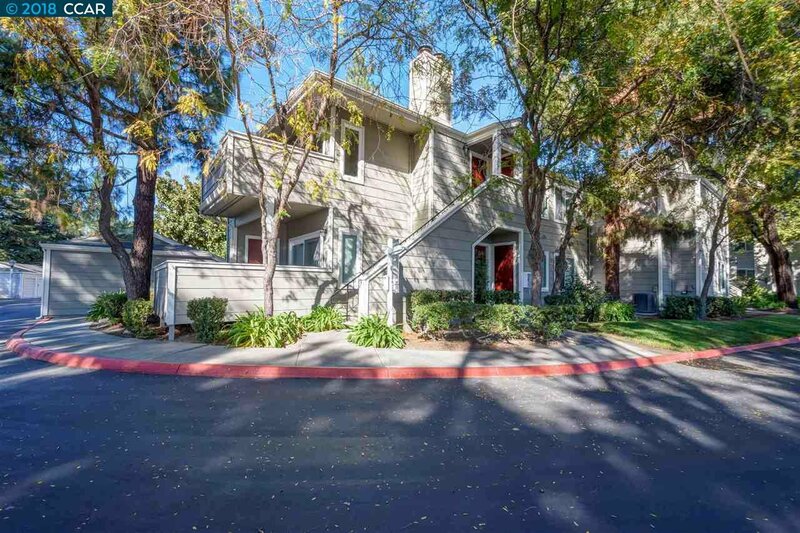 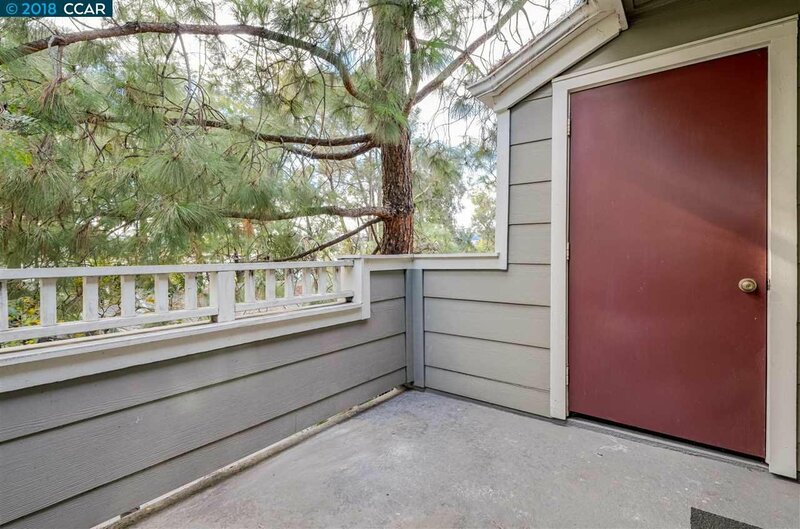 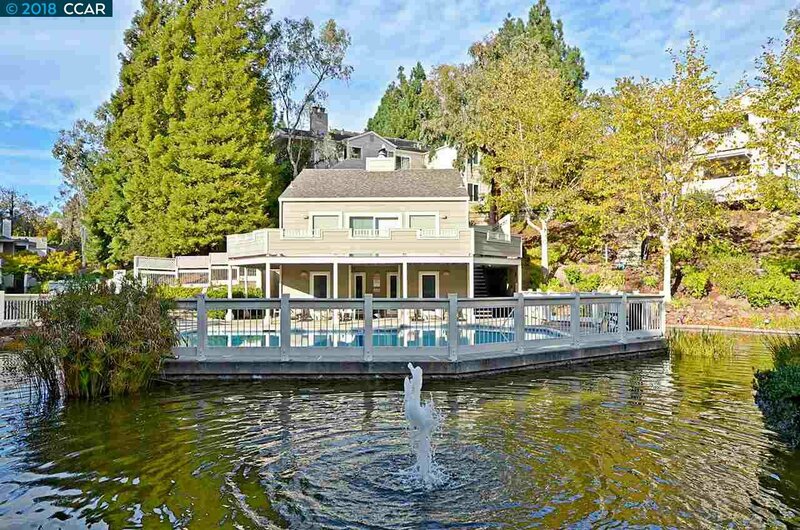 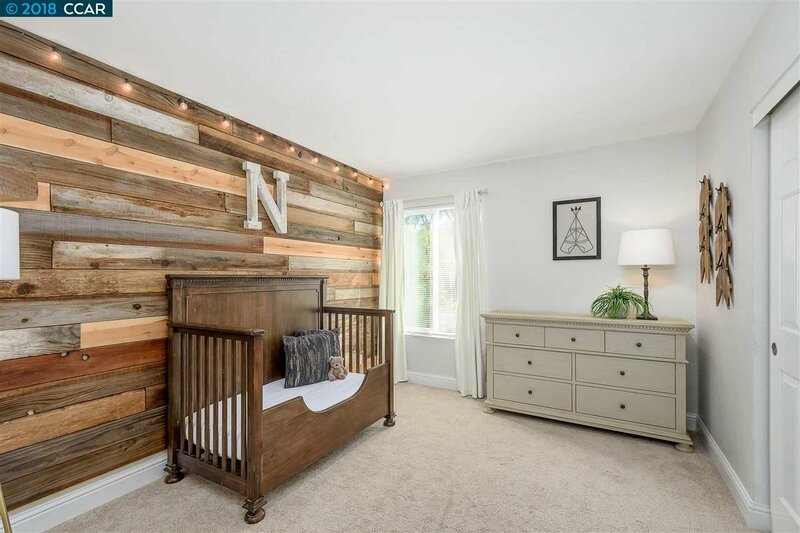 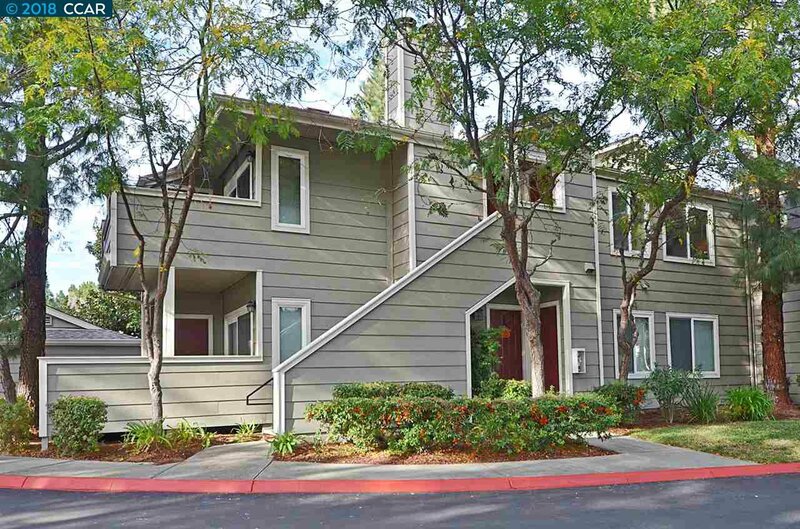 Conveniently located near Bishop Ranch, Iron Horse Trail, City Center, shopping, dining & top rated schools.